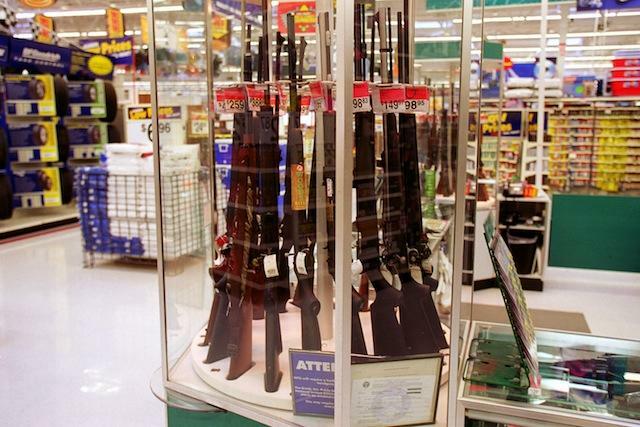 The talk of new gun control measures that has followed Friday's mass shooting in a Newtown, Conn., elementary school has gun buyers rushing to the nearest store and picking up new weapons, according to gun store owners and state police background check information. On Saturday, Virginia state police fielded 4,166 requests for background checks, a 42 percent increase from the same Saturday last year and the highest number of transactions received in a single day since the program was implemented in 1989. Sunday's 1,828 background checks in Virginia represented a 43 percent increase from a year ago. Colorado also set a one-day record for background checks on Saturday with 4,200, the highest number since the program began in 1999. Paul Decker, the owner of Hunters' Heaven in Hayes, Va., said he saw a big spike in sales over the weekend, with many customers buying the AR type of rifle allegedly used in the Newtown shooting. Gun control advocates want AR and other semi-automatic rifles banned, returning to the Bill Clinton-era policy that was the law of the land from 1994 to 2004. Also flying off the shelves were high-capacity magazines and ammunition, over fears Congress could vote to limit them. "The people that would normally buy a box [of ammo] are buying four or five boxes," Decker said. Virginia State Police spokeswoman Corinne Geller stressed that the background check figures are only a snapshot of the larger gun-sales picture, because only licensed gun dealers need to perform background checks. A person can buy guns through a classified ad or other private sellers, and there would be no record of it. Also, the state has no way of knowing how many weapons are sold per background check, so the figure does not describe the total number of guns sold last weekend in the state. Richard Sprague, the owner of Sprague's Sports in Yuma, Ariz., said he saw a "noticeable increase in business" over the weekend. Sprague said the only other time he saw such a spike was immediately after President Barack Obama was elected president in 2008, when many gun owners feared he would push for restrictive gun laws. Decker also said his business boomed in the year after Obama's election: He experienced a 50 percent increase in sales. "The '08 election was like the Brady Bill, the Crime Bill and Y2K all wrapped together and then doubled," he said, referencing two pieces of gun control legislation. It's common for gun sales to spike after a mass shooting, because that is when politicians and others tend to push for gun control legislation. Democratic Sen. Diane Feinstein of California said Monday she will introduce a bill to ban dozens of assault weapon models and any magazines that hold more than 10 rounds of bullets.